As March comes to an end, let’s take a look at how Greater Tampa real estate — which includes all the communities listed below — performed in February of this year. As you see below, Total Sold Dollar Volume, Closed Sales, Median Sold Price, Average Sold Price and Average Price per Sq Foot jumped compared to February 2017 (YoY). Only Median Days on the Market fell (-6.9%) on a year-to-year basis. On a month-to-month (MoM) basis (or January 2018 compared to February 2018), all numbers rose. (See table below for details). The data in the chart above includes all types of housing, so let’s look a little closer into the sale of single-family homes. As you’ll see below, Closed Sales rose 5% compared to February 2017, as 1,978 SFHs sold. (Just place your cursor on the bars in the graph to see the stats.) On a MoM basis, the number of sales jumped 23.8%. The Number of Active Listings decreased 3.8% from February a year ago, as 5,563 homes were for sale. New Listings were also up 2.3%, as 2,817 came onto the market. After a down January, prices bounced back in February, up 7.7% from last February and 3.6% from last month. The Median Listing Price stayed about where it was a month ago but dropped 3.1% from a year ago. The Average Price per Sq Foot stood at $159, the same as last month and up 1.3% from a year ago. The supply of homes kept moving down as the measure fell 8.7% to 2.35 months. The Average Days on the Market, which shows how fast homes are selling descended to 12.9% to 27 days, but that was up 1 day from January 2018. A strong bounce back in February indicates the market is likely to remain robust throughout the spring and summer. With Tampa rents on the rise and interest rates expected to keep climbing, it makes sense to buy now instead of rent and wait until later. Also, Tampa home sellers have the wind of a tight market with a low inventory of homes for sale at their backs. That means they should continue to get top dollar for the homes they list for sale. Now here are some of the most helpful and interesting blog posts, articles, and infographics we’ve seen this week. Enjoy! Home sales rebounded more strongly than expected in February, and the National Association of Realtors says they could have been even higher if there were more homes for sale. A critical shortage of listings is the No. 1 obstacle, especially in higher price ranges — not rising mortgage rates or new tax laws that reduce certain homeowner deductions. In fact, homes sales in the West, where prices are highest, jumped more than 11 percent for the month, and the higher end of the market was very active. Nationally, sales of homes priced above $750,000 were up nearly 19 percent from a year ago. New tax laws limit the mortgage interest deduction. Borrowers can now deduct interest paid on up to $750,000 in mortgage debt. Previously, the limit was $1 million in mortgage debt. Sales at the lowest end of the market, however, homes priced under $100,000, were down 16.5 percent compared with a year ago. 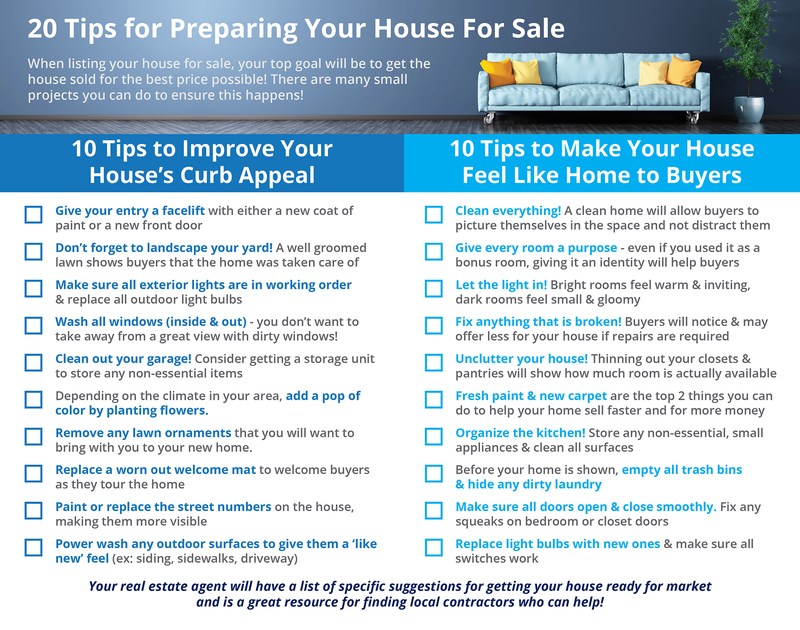 If you sold your home at a good price, you’d be thrilled, right? But what if, a year or two later, you check in on your old home by idly punching your former address into realtor.com … and discover that its value has shot up even higher? In other words, had you only held onto this property a little longer, you could have made a real killing? Welcome to home seller’s remorse—a rampant affliction among home sellers across the country. It can hit at any point after a home sale, where, akin to tossing a winning lottery ticket, home sellers torture themselves with fears that they’ve sold their home too soon, thus losing out on tens of thousands of dollars. Home seller’s remorse can even kick in before a sale, stressing out homeowners who are thinking of selling but are worrying that they could be pulling the trigger too early … and missing out on the windfall their home could become. Sound painfully familiar? In the strong seller’s market we have now, where prices are rising across the country, it’s understandable. Yet real estate experts insist that home sellers should stop second-guessing themselves and make peace with when they sell, and for how much. Here are some reasons you should never worry whether you’re selling your home too soon. The Federal Reserve raised interest rates today – a much-anticipated move that comes as both U.S. and global economic fundamentals continue to strengthen. The Fed’s decision to raise interest rates by a quarter of a percentage point puts the federal funds rate at its highest level since 2008. The decision, while widely expected, sent the yield on the benchmark 10-year Treasury soaring. Following Treasurys, mortgage rates shrugged off last week’s drop and continued their upward march. 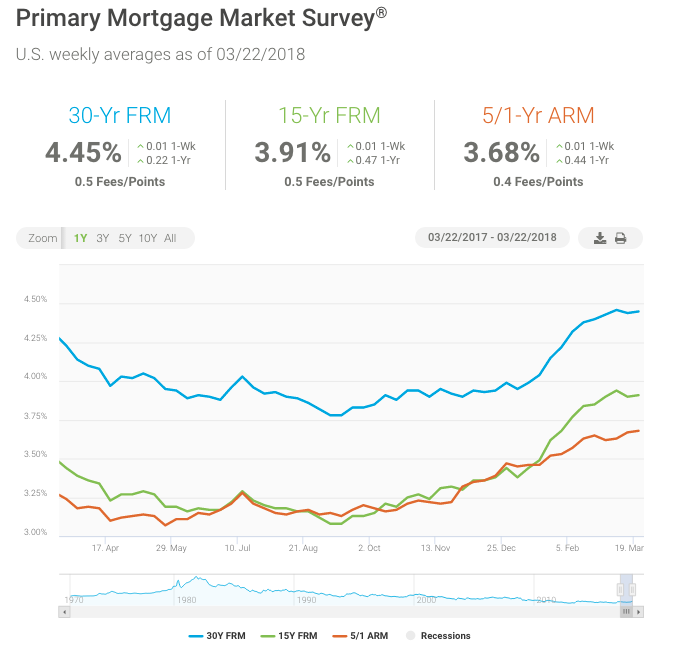 The U.S. weekly average 30-year fixed mortgage rate rose 1 basis point to 4.45 percent in this week’s survey. 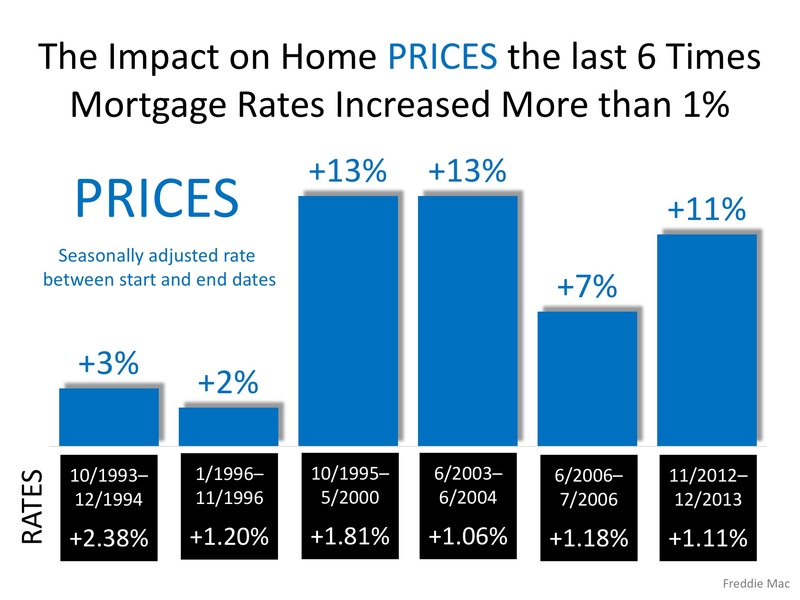 So far, U.S. housing markets remain resilient in the face of higher mortgage rates. The National Association of Realtors reported this week that existing home sales in February increased 3 percent month-over-month on a seasonally adjusted basis and are up 1.1 percent from a year ago. That momentum is carrying through into spring. In the latest Mortgage Bankers Association’s Weekly Mortgage Applications Survey, the home purchase. Thanks for reading Tampa Market Monday. If you want help buying or selling your home, please get in touch. 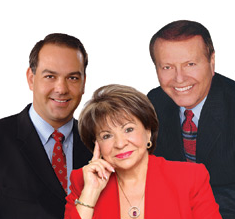 We have sold over 5,000 homes in the Tampa area and our mission is “to elevate the practice of real estate to an art form — and to deliver a real estate experience that is re-imagined and extraordinary!